Donate with PayPal (using either a Paypal account or credit/debit card). 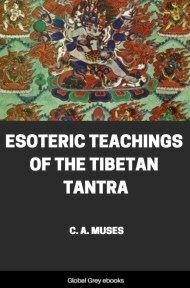 This book contains three separate, and very important, works detailing Tibetan Tantric Buddhist thought and practice: Seven Initiation Rituals of the Tibetan Tantra, The Six Yogas of Naropa, and The Vow of Mahamudra. 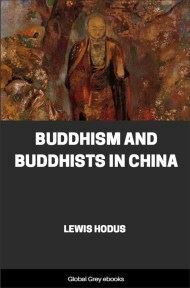 These were translated and edited by Musés assisted by exiled Tibetan monks from manuscripts in the Library of Congress. There are some very strange passages here. There is the mysterious prophecy of Mi-Gyur-Dorje found in one of the manuscripts among the initiation rituals, which tells of a far future time when Tibet will be shattered and perscuted by demons. Naropa relates the Yoga of Entering Another's Body (which can be used to reanimate a corpse!). Naropa also discusses at some length what we call lucid dreaming, but which he calls The Practice of the Illusory Body. From the Treasury of Consciousness of the Heavenly Dharma, and among the profound Teachings of the Whisper Succession, this is the Initiation of the Fierce Guru, the most secret of the secret, the Four Inner Teachings condensed in one initiation ritual. All the practice of the Initiation of the Fierce Guru (Padmasambhava) can be summarized into three performances. Red in color, with one face and two arms. And in his left, he holds a scorpion . At the five parts of his body stand the five deities in armor. Upon the crown of his head there is a Garuda bird, the king of all creatures. And he sits on the cushion of the Sun-Lotus, which is covered with the corpse of a demon. And all merge with him; thus the guru attains the Initiation. Oṃ Ah Tsiga Nitsi Namobigawadi Hūṃ Au Hūṃ Pai! Has one face and two arms. In his right hand is the vajra, in his left the scorpion. All the wrathful adornments are complete on him. And in his heart-center stand the five gods with armor bright. On the top of his head stands a Garuda bird, the king of all creatures. In his arms, he holds the Red Mother. He is the only director of the four inheritances , the wrathful one. In all the corners and directions stand the ten wrathful ones. In the four directions are manifest the Four Great Kings. Also holding the Heavenly-Iron-Made wheel of many spokes. From the center of the wheel shines the red word Hūm. The main incantation encircles the Hūm word. Radiate the great beams of light which invite the initiation Buddhas to descend. For this one should render offerings, obeisance, and praise. Oṃ Ah Tsi Ne Tsi Name Babawadi Hūṃ Ah Pai, Ba-tsa Hūṃ Yauga Hūṃ! All the grace and blessing of the Buddhas are embodied in the Front Vase [which helps concentrate the power of the Gtor-ma as a Leyden-jar type of receptacle]. Oṃ Ah Hūṃ Ahtsi Gani Gana moBagawadi Hūṃ Pai. With three faces and six arms. The right face is white, the left blue. Beneath is the curved knife, the skull and blood. In his hands, he also holds the sword and the stick.